Give me your torch, boy. Go stand away from me. No, put out the torch. I’d rather not been seen. Lie there under those yew trees with your ears close to the ground. That way you’ll hear if anyone comes into the churchyard or tries to dig up a grave. If you hear someone, signal me by whistling. Give me those flowers. Do as I asked you to. Go. I’m almost afraid to wait here in the churchyard, but I’ll try to be brave. As signal that thou hearest something approach. Here in the churchyard, yet I will adventure. Juliet, sweet flower, I’ll spread flowers on your bridal bed. Oh woe! Your bed’s canopy is made of dust and stones. I’ll sprinkle it with perfume every night, or in lieu of scent, I’ll sprinkle it with my own tears distilled from my sadness. I’ll keep an observance for you every night, sprinkling your grave with perfume and weeping here. The boy gave the signal that something’s coming. Who could possibly be wandering here tonight, interfering with the rituals of my true love? Oh, they’ve got a torch! Night, hide me for awhile. What, with a torch! Muffle me, night, a while. Give me the ax and the crowbar. Hang on, take this letter. Make sure you deliver it to my father early in the morning. Give me the torch. On my life, I order you to stay here. Don’t follow me no matter what your hear or see. Don’t interrupt me in my business. I’m going into this tomb partly to see her face, but mostly because I have to take a precious ring that I need for a very costly business. So get out of here, go away. If you come back to pry into what I’m doing, I swear by heaven that I’ll rip you apart and spread your limbs around this churchyard. This is a desperate time and I’m a desperate man, and these things make me more savage, fiercer, and harder to stop than a tiger or a stormy sea. Both of those will roar but not do anything. I’ll go and not bother you, sir. In doing so you’re being a good friend. Take this. Live on and be prosperous. And farewell, good fellow. Live, and be prosperous. and farewell, good fellow. [Aside] All the same, I’ll hide here. I’m afraid for him and I doubt he’ll do what he threatened. You, entrance to the tomb, are like the hated mouth of an animal. You’ve eaten the sweetest thing in the world, my Juliet, and she’s made you sick with her sweetness. Now I’m going to force your rotten jaws open to cram your mouth full with another victim. And in despite I'll cram thee with more food! Why that’s the exiled Montague, who murdered my love’s cousin. Everyone supposes that the murder caused her to die of grief. And here he comes to desecrate the dead bodies! I’ll apprehend him. Stop this unholy work, you vile Montague! Are you trying to get vengeance on these people beyond death? Damned villain, I will arrest you. Obey and go with me, for you must die. I must indeed, and that’s what I came here for. Gentle young man, don’t tempt someone as desperate as me to violence. I must indeed, and therefore came I hither. Get out of here and leave me. Let your fear of these dead bodies spur you to go. I beg you, young man, don’t make me commit more sins by provoking me to fight you. Oh, go away! I swear to heaven, I have more love for you than for myself. After all, I came here intending to hurt myself. Don’t stay here, go away, live, and tell people later that a merciful madman urged you to run away. I challenge your disgusting behaviour, and I’m arresting you as a criminal here. You’re going to provoke me? Well then have at it, boy! Oh Lord, they’re fighting! I’ll go call the night’s watch. Oh, I’ve been killed! If you are truly merciful, open up the tomb and lay me down beside Juliet. Indeed I will. Let me look at this face. It’s Mercutio’s cousin, Count Paris! What did my servant say, when my mind was too troubled to pay attention as we were riding here? I think he told me Paris was supposed to marry Juliet. Didn’t he say that? Or did I dream it? Said he not so, or did I dream it so? Or have I gone mad, hearing him talking about Juliet, and that’s why I think that’s true? Oh give me your hand. You, like me, seem to be written down on fate’s list of the unlucky! I’ll bury you in a glorious grave. A grave? Oh no! I’ll bury you where there is light, poor slaughtered youth. For here lies Juliet, and her radiant beauty makes this dark crypt full of light. Dead soul, lie there, buried by one soon to be dead himself. Isn’t it strange how often people are described as happy when they’re at the point of death? Their caretakers call it lightning before death. Death, lie thou there, by a dead man interred. Oh how can I call my own a lightning? Oh my love! My wife! Death, which has taken away your sweet breath, has not yet taken away your beauty. You haven’t yet been truly conquered, and Beauty still carries its red coat-of arms in your cheeks and lips like a proud army that has not yet submitted to Death and its pale flags. Tybalt, are you lying there in your bloody shroud? Oh what more can I do for you than to kill myself, your enemy, with the very hand that cut off your youth? To sunder his, that was thine enemy? Forgive me, cousin! Ah dear Juliet, why are you still so beautiful? Is invisible death in love with you? Is that hated monster keeping you in this tomb to be his lover? I’m afraid he might be, so I’ll stay here with you, and I’ll never leave this palace of dim night again. Here, right here, I’ll remain with the worms that are your chambermaids now. Oh, here I’ll set up my everlasting rest, and I’ll shake off the burden of my unlucky fate from my weary body. Eyes, look for the last time! Arms, take your last embrace! And lips, with this virtuous kiss seal a contract with death that has no end or limit! Let’s go, bitter action. Let’s go, guiding hand! Rush on like a pilot driven mad with sea-sickness, crashing a ship on the rocks. Here’s to my love! [Drinks] Oh you were a true apothecary! Your drugs work quickly. I’ll die with a kiss. Until relatively recently, a "crow" was the name for what we call a crow-bar. It was called this because the slightly curved and tapered end of the iron bar resembles the beak of crow. Have my old feet stumbled at graves. Who's there? Saint Francis lead me on! How frequently tonight I’ve stumbled over graves! Who’s there? I’m here, I know you well. Happiness be yours! Tell me, my good friend, what’s that torch over there that casts a light over the skulls? It seems as though it’s burning from inside the Capulet’s mausoleum. Yes it is, holy father, and my master’s in there--someone you’re very fond of. A whole half an hour. Go with me to the crypt. I dare not, sir. My master thinks I left him alone, and he threatened to kill me if I watched what he was doing. Stay, then, I'll go alone. Fear comes upon me. Stay, then. I’ll go alone. I’m beginning to be very afraid. Oh I fear some disaster. I fell asleep under this yew tree here, and I had a dream my master fought another man and killed him. Romeo! Oh no, oh no, who’s blood is this that’s all over the entrance to the crypt? Why are there bloody swords without owners lying here in this place of peace? To lie discolored by this place of peace? "Unkind" can mean "cruel," which is how we use it today. But in this case, it also means "unnatural," or contrary to the normal nature of things. In this case, the hour is unkind because of the deaths that Friar Laurence has witnessed. Romeo! Oh, you are pale! Who else? What, Paris too? And Paris is all bloodied? Ah, what an evil time made this tragic accident occur! Juliet is waking up. Oh my comforting friar! Where is my husband? I remembered where I was going to wake up, and here I am. Where is my Romeo? I hear a noise. Lady, come out of this place of death, disease, and unnatural sleep. Some greater power than we can know has thwarted our plans. Come on, come away. Your husband next to you lies dead, and Paris is lying here as well. Come on, I’ll hide you in a convent of holy nuns. Don’t stay here to question me, for the night’s watch is coming. Come on, good Juliet, let’s go. I don’t dare stay here any longer. Go, get away from here, I won’t move. What’s this? A cup my in my true love’s hand? To help me after. I will kiss thy lips. I see that poison has been his untimely end. Oh you’re so selfish! You drank it all, and didn’t leave any to help me follow you? I’ll kiss your lips. Perhaps there’s still some poison that remains on them which will cure me by killing me. Your lips are warm. Lead us, boy. Which way did they go? Someone’s coming? Then I’ll be quick. Oh, how lucky to have this dagger! A restorative is a medicine or liquor which would restore Juliet and bring her back to consciousness. In other words, it would do the opposite of "to make me die." In one sense, the kiss is her restorative, and the drops of poison, its opposite. In another sense, in dying, Juliet is restored to Romeo. This is the place, there where the torch doth burn. The ground is bloody. Search about the churchyard. Let my body be your sheath. Rust there forever, and let me die. This is the place. There, where the torch is burning. There’s blood on the ground, search the churchyard. Go, arrest whomever you find. What a pitiful sight! The count lies here, killed. And Juliet, is warm, bleeding, and must be newly dead, although she has been buried here for two days. Go, tell the Prince. Run to the Capulets. Go get the Montagues. We need some others to search. Go, some of you, whoe'er you find, attach. Go tell the prince. Run to the Capulets. We can see the ground on which all these tragedies occurred, but without motives or context, they seem groundless. Without more information, we can’t figure out what really happened. Here’s Romeo’s servant. We found him in the churchyard. Hold him in custody until the Prince gets here. Here’s a friar we found trembling, sighing, and weeping. We took this ax and this spade away from him as he was coming from this side of the churchyard. As he was coming from this churchyard’s side. A great suspicion. Stay the friar too. Very suspicious. Keep the friar here, too. What calamity happened so early that we were forced to get up so soon in the morning? What’s going on that’s making everyone so distraught? Some people in the street cried Romeo’s name, some cried Juliet’s, some cried Paris’, and all of them were running in the direction of our mausoleum. What should it be that they so shriek abroad? What’s this fearful thing we’ve been hearing? Your highness, here lies Count Paris, killed, and Romeo, dead. And Juliet, who we thought had died before, is warm and seems to have been newly killed. Search around, seek out the culprits, and find out how these foul murders happened. There’s a friar here, and Romeo’s dead servant, who had tools with them that could have opened this tomb. And it mis-sheathed in my daughter's bosom. Oh heavens! Oh, wife, look how our daughter is bleeding! This dagger has the Montague crest on it, and yet it rests in our daughter’s heart! Oh no! This terrible sight of death is like a bell summoning me to my own grave. Come forward, Montague, you’ve woken up to see your son brought down. "this sight of death is as a bell"
In the Middle Ages, and sometimes still today, church bells are rung very slowly at a funeral or in a village to announce a death. As was custom, the number of times the bell rung indicated the deceased person's age. Lady Capulet is imaging the city bell summoning her to a funeral. To see thy son and heir now early down. Alas, my liege, my wife is dead tonight. Grief of my son's exile hath stopped her breath. Alas, my lord, my wife died tonight. She was overcome with grief after his exile. What further sorrow threatens me in my old age? Look, and you will see. Oh you boy! What kind of thanks is this, to go to your grave before your father? "Seal up the mouth of outrage"
Most simply, the Prince is telling everyone to be quiet. But his double meaning could also be to tell them to cover up the opening to the tomb so that they don't look upon its horrible sights. "lead you even to death"
The prince will inform you who caused these deaths. Alternatively, he will condemn the guilty parties to death. Or, finally, he will investigate this matter to my utmost. Quiet your outrage for awhile, until we can clear up the confusion and figure out how all this started and how it occurred. Then I will be understanding of your grief and lead you to death if you wish. In the meantime, hold on, and let patience rule over this misfortune. Bring forth the suspects. I am the most suspected, although I was able to do the least. The timing and the place where I was found make it seem like I was responsible for this terrible murder. And here I stand ready for your accusations and punishments, as I have already accused and punished myself. Myself condemned, and myself excused. Then tell us immediately what you know about this. I will be brief. I fear I may not have long to live, so I won’t tell a tedious story. 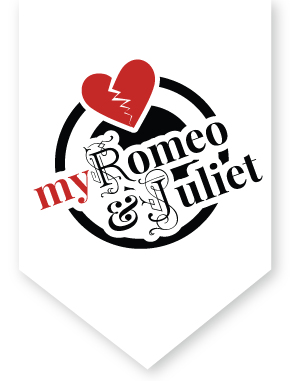 Romeo, who lies dead there, was Juliet’s husband, and she was his faithful wife. I married them, and their wedding day, which was cut so short, was the day Tybalt was killed. That caused Romeo, the new groom, to flee the city. It was for him, and not for Tybalt, that Juliet was grieving. You tried to alleviate her grief by forcing her to marry Count Paris. She came to me totally desperate, asking me for some way to get her out of this second marriage or else she would try to kill herself right there in my cell. I gave her a sleeping potion, which had the intended effect of making her seem like she had died. In the meantime, I wrote to Romeo, and told him he should return on this night to help take her from her borrowed grave, as by that time, the potion would no longer be in effect. But the person who carried my letter, Friar John, was held up accidentally and gave that letter back to me tonight. I came all alone to take her out of her family’s crypt. I was going to watch over her at my cell until I could get Romeo to come back. But when I got here barely a minute before Juliet was to wake up, I saw that the noble Paris and the true Romeo were dead. Juliet woke up, and I begged her to come out of the tomb and handle her grief with patience. And bear this work of heaven with patience. But then a noise startled me out of the tomb, and she, who was in despair, wouldn’t come with me. It seems she killed herself. That’s all I know, and her nurse knows about their marriage, too. If any of this turned out so badly because of me, let my old life be sacrificed within this hour according to the law. We have always known you to be a holy man. Where’s Romeo’s servant? What can he add to this? Where's Romeo's man? What can he say to this? I brought Romeo news of Juliet’s death. And then he came right away from Mantua to this exact place and this exact mausoleum. He told me to give this letter to his father, and he threatened to kill me if I followed him into the crypt. I didn’t follow him, but I didn’t leave, either. Give me the letter. I will look at it. Where is the count’s page, who called the night’s watch? You there, what was your master doing here? He came to put flowers on Juliet’s grave, and told me not to approach, so I didn’t. Where is the County's page that raised the watch? Their course of love, the tidings of her death. Someone came soon after with a light, intending to open the time, and then my master drew his sword to fight him. That’s when I ran away to call the watch. This letter reinforces the friar’s story, and tells of the course of their love and that he had received the news of her death. And here he writes that he bought posion from an impoverished apothecary, and brought it with him to this crypt to die and lie beside Juliet. Where are those enemies? Lord Capulet! Lord Montague! Look what a terrible punishment has come from your shared hate, that Heaven found a way to kill your children with love. And for not dealing with your feud I, too, have lost two family members. Everyone has been punished. Came to this vault to die and lie with Juliet. Have lost a brace of kinsmen. All are punished. The jointure was an amount of money that Montague would have set aside to provide for Juliet in case Romeo died. But a handshake is all Capulet can demand since Juliet has also passed away. But I can give thee more. A common practice in the tomb of a noble person was to place a carved image of the deceased on the casket. Montague is going to array, to dress, Juliet's figure in gold. Notice the pun: if she's dressed in gold, then her statue will "ray," or shine. In one sense, Montague means that in Verona, no person will be as highly esteemed as Juliet. But in a more practical sense, he's also saying that no statue will be so expensive as that as Juliet's. This is a sad peace that the morning has brought. Indeed, even the sun won’t show his face today. Let’s go from here to talk more about these tragic events. Some people will be pardoned, others punished. For their was never a sadder story than this one of Juliet and Romeo.